You have just selected one of the world's most perfectly balanced instruments. Your new NSD Powerball is a precision crafted gyroscope, which has been carefully constructed using only materials of the highest quality and finely balanced using state of the art computer technology to ensure zero vibration up to speeds in excess of 15,000rpm (250Hz). Step 1. Insert one end of the cord into the hole in the rotor (fig. 1). Proceed to turn the rotor forward with your thumb, while maintaining pressure on the cord between your other fingers to make sure there is no slack as it winds up around the rotor groove (fig. 2). Step 2. When there are only about 3 inches of cord remaining, stop winding and hold the ball with the digital counter (tip) buried into the palm of the hand that you are going to spin the NSD Powerball up with (usually right if right handed, left if left etc.). The exposed rotor will be facing the ceiling at this stage (fig. 3). Step 3. Hold the cord firmly and give it a quick, sharp tug away from the ball (as if starting a lawn mower!). Really let rip here, (don't be afraid of it!). But ensure that you always pull it straight out to minimise the opportunity for the cord to jam in between the rotor mechanism and the outer shell if pulled sideways. The rotor should now be spinning at between 2400 & 3000 rpm. Step 4. Immediately turn your hand over (so that the exposed part of the ball is now facing the ground) and begin to rotate your wrist (not your arm!) in a slow circular motion (fig. 4) as if you were slowly stirring a large pot with a long wooden spoon or waxing a car. The proper motion required to do this involves absolutely no movement of your arm - just the wrist joint! Step 5. The secret to easy starting of the ball is to begin slowly - i.e., after giving the ball a good spin with the cord, begin your wrist movement in slow, wide lazy turns (6-8 inches in diameter - about 1 turn per second). Don't start with fast, short wrist movement as you will be out of sync with the slow spinning rotor and will find it difficult to properly increase the speed. (In this manner, you will hear the rotor 'slapping' noisily in the sphere as it struggles to find momentum). Step 6. As you slowly build up the rotor's speed, you will find that the pressure acting on your wrist and arm will increase proportionally as gyroscopic forces build within the NSD Powerball. Respond by reducing the diameter of your turning circles (3-4 inches) and increasing their speed (3- 6 times each second) - the shorter the circle the wrist goes through in an effort to spin the ball, the faster you will drive the rotor and, consequently the harder it will be to do! To achieve those really high speed runs, (12,000 rpm+) it's all about practice - not that this is going to be difficult, because your new NSD Powerball is totally addictive and you will find it hard to put it down once you perfect the technique! After using it for a short while, you will begin to feel significant power improvements in your wrists and arms whereby you will really find those scores increasing - the true secret to achieving a 13,000 rpm run is a turning radius of about 1cm where there is virtually no break in the wrist joint whatsoever - the arm and wrist look like they are barely moving at all - yet the wrist tendons look ready to burst with the force! Persons with heart conditions of any description are recommended not to use this product. NSD Powerball is suitable for all ages. However, it is recommended that children under 12 are supervised by an adult. Avoid touching the rotor if it is spinning at high speeds - it will burn! DO NOT DROP the ball at any time - the heavy rotor will damage the inner surface of the sphere. Please keep the inner part of the ball clean and avoid any form of lubricant or oil contamination. Always support the sphere FIRMLY in the hand EVERY TIME the rotor is spinning inside - failure to do so won't cause any significant reduction in the life expectancy of your new NSD Powerball but will make it noisy and 'rough' sounding over time. REMEMBER; slow speeds for gentle rehabilitation - high speeds for pure muscle building fun! The NSD Powerball is a remarkable and highly unique product. Properly cared for, we guarantee that it will bring you many years of beneficial enjoyment. 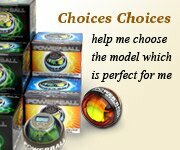 Should you have a question about your new Gyro which hasn't been addressed properly within these instructions then please don't hesitate to get in touch with us at the following email address - info@powerballs.com or consult the FAQ section on the Powerballs.com website. Your query will be given our full and prompt attention. Thank you!